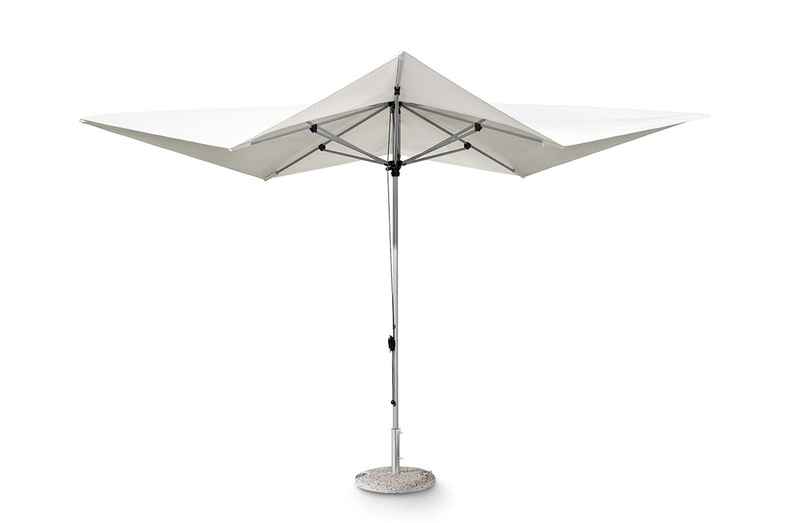 Outdoor umbrella with structure in powder coated aluminum and shade in polyester fabric. Round base in gravel stone. Pulley opening system.